QLYX - the ultimate smart phone mount for car that tunes your life. QLYX - the ultimate smart phone car mount that tunes your life. Stylish magnetic phone holder for your car with clever and adaptive software. Reliably holds your phone and assists you in everyday life. QLYX - the ultimate smart mount that tunes your life. QLYX - is a first car wearable and a first smart mount both for iOS and Android. ▪ _ Collects driving statistics. ▪ _ Automatically drops parking pin. ▪ _ Auto-launches desired application. ▪ _ Saves history of road trips (sessions). ▪ _ Shows weather forecast and traffic situation. ▪ _ Automatically offers to get directions to home/work. ▪ Automatically drops parking pin. ▪ Saves history of road trips (sessions). ▪ Automatically gets directions to home/work. ▪ Shows weather forecast and traffic situation. The combination of smart mount for car and application is designed to auto-launch desired app the moment you place and unlock your phone on the QLYX. 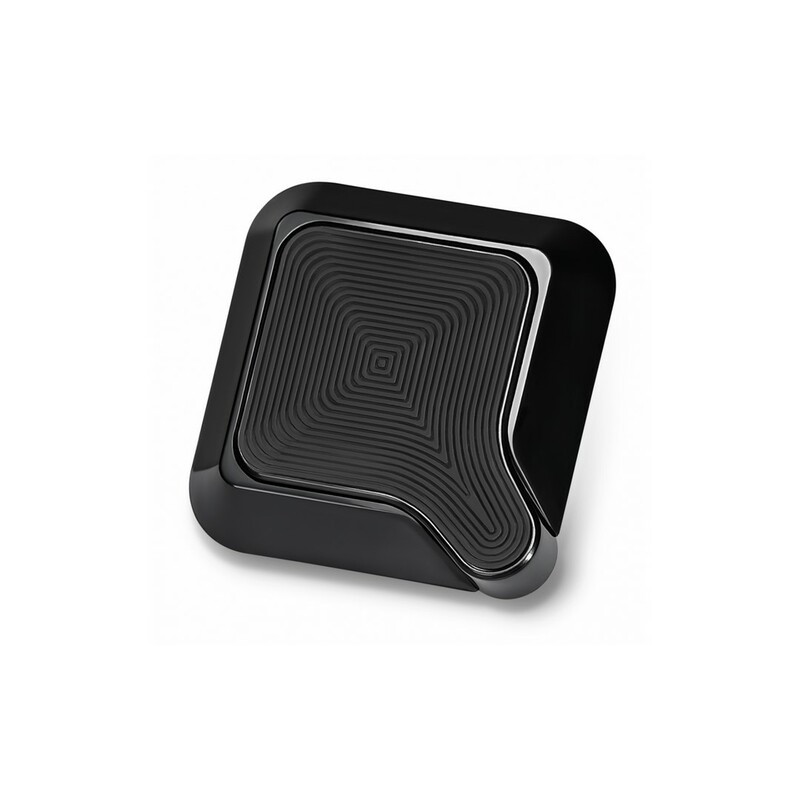 Adhesive pad that can be attached to any flat surface at any angle. 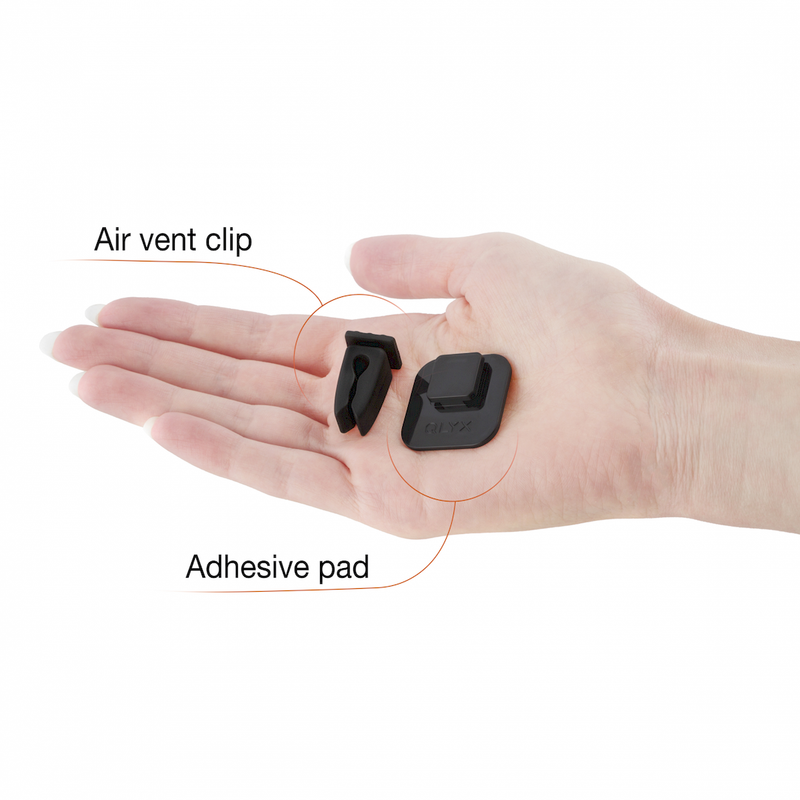 Air vent clip that is designed to grip on any air vent. while the application - means you can keep your hands on the wheel. the mount keeps the smartphone within your field of view, while the application - your hands on the wheel. The first car-wearable and smart mount for both iOS and Android phones. 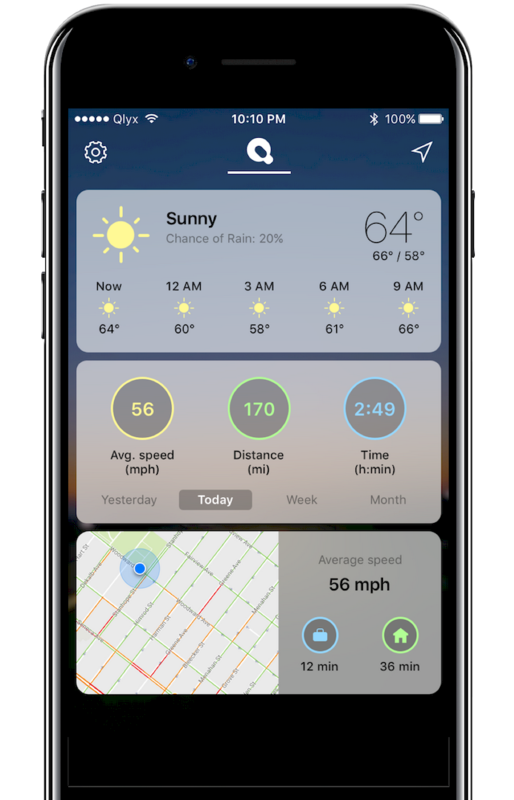 QLYX app seamlessly runs in the background to interact with a holder, collect driving data and save parking pins. It auto-launches another app at the beginning of a session. QLYX's "brain" interacts with the smartphone at extremely low power consumption. Phone can be connected to smart mount while simultaneously being connected to other Bluetooth devices. One QLYX can be paired with two or more smartphones. And vice versa, one smartphone can be paired with two or more QLYXs. Q-plates are made from electrical steel which allows us to make them super-thin yet still have excellent magnetic properties. One battery can power QLYX for up to 2 years of moderate usage (4 hours daily) and up to a year of heavy usage (8 hours daily). You can customize your dashboard with available widgets. More widgets will be added to the QLYX app soon, due to popular demand. 2,892 backers pledged $124,979 to help bring QLYX to life! Looking for an ideal car accessory? You found it! A car mount that emphasizes your style!